In a recent Business Line article quoting a global study, they stated that 80% of the Customers in India and globally who complained about poor service or product deficiencies had their complaints ignored. Companies lost at least 18% of their annual revenues because of poor complaint handling. In my opinion the number is higher but is masked. Companies cannot afford to lose Customers and allow profits to leak through the poor Customer experience sieve. They need to heed this. So what are they doing? 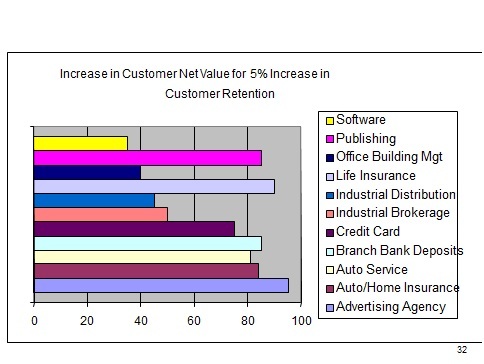 Companies are planning to spend more in Customer support technology. They are thinking that technology will solve the poor Customer experience and retention problem. But what they need to do is to change the mind-set starting at the top with CXO’s and getting all departments to focus on the Customer and Customer issues. They need to break internal silos, and build a circle of promises internally to make sure the Customer remains happy and stays with the company (and even attract new Customers by word of mouth). They also need to incorporate Customer Circles like the Quality Circles to start a Continuous Customer Improvement program. This will give them more mileage and will be cheaper than a mere technology intervention. Companies beware of Customer Power! Do not let your profits die! This entry was posted on March 21, 2013 at 7:44 am and is filed under Business & Management. You can subscribe via RSS 2.0 feed to this post's comments. You can comment below, or link to this permanent URL from your own site. I think that your facts are not addressing the full picture and, because of that, the conclusions look a bit artificial. It is a matter of almost obvious fact that in a society of deficit (which India is an example and the USSR was an example), companies can easily affort loosing existing customers becuase there are much more new customers in “the street”. I am talking from the first-hand experience. Also, British mentality, influenced India and based on subordination and a “lord care”, makes any provider a master over its customers (also speak from several years of personal experience and comparison with USA). Then, the bigger organisation and the more it diversify its revenue sources, the less value any one particular customer contributes into the overall revenue of the company – compare big banks and small local banks re customer care. There is no any death of profit in my examples above. I am afraid that you are taking desirable for the reality. Facts that companies invest in CRM technologies and not into people may be just the first step toward Continuous Customer Improvement program. This requires deeper analysis – it may be an exclusive specific of India where personal loyalty is less strong than in Japan, for example, i.e. investment in employees has much lower ROI because of the high level of the staff rotation. I would expect more arguments like those (above) when talking about “death of profit”. It is also possible that benefits of local society now overcome individual Customer Retention and companies change orientation. TBD! Sir, You may be absolute right ,but can you wake them when they are pretending . Can you improve their intentions of avoiding legitimate dues by giving n no of reasons, to which very difficult to resolve them. Seek solutions for this .We believe customer is 100% right. A company is usually in a trade – lose here, gain there. For a customer, it is done deal – either served or not – while for the company it is balance and final nett – lose or gain – regardless individual customer. This is a capitalism.